Description: Center of Culture of Zarasai Municipality is a budgetary institution and has 3 territorial departments in Salakas, Suviekas and Turmantas villages. In 2016 there were 52 amateur art groups with 564 members in total. 22 groups with 268 members are for kids and youth. 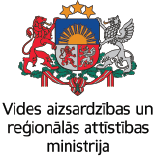 In territorial departments there are 25 amateur art groups with 212 members including 7 groups for youth and kids, with 68 members.